Link building strategies 2014 best practice anchor text for optimized Link Building 2014. We should all know that in SEO the use of anchor text links to build targeted back links has changed in 2014. Many webmasters have come to realize that successful link building depends on correct anchor text or if you like the words used to describe a link to another web property that will encourage people to click on and follow the link. The SEO benefits are still and always were clearly huge and this is one very important ranking factor that despite recent knee jerk reactions to the Big G updates still works. Optimized anchor text is now more than ever very important, however over the past few years webmasters have come to over use them and duplicate them, this has been recognized by the major Search engines as a form of web spam, mainly used to get many spam advertising sites to rank in search terms that they are not particularly useful to or highly relevant to. The over use of anchor text has led to algorithm changes that now target un natural events of anchor text, and whilst we do not know exactly how the bots are defining this, it is clear that we must now vary our anchor text as much as possible. There are many logical suppositions floating about trying to understand just how unnatural or spammy links are being being targeted. One thing to remember is that your anchor text is a signal of link source and link popularity and your whole profile of back links will be examined by the bots looking for really natural looking anchor text, or the opposite artificially created back linking profiles. 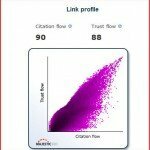 What is an artificially created backlinking profile and what should I look out for building link juice? This is where back links are identified as duplicated in the text used in the anchor tag or anchor text, over active back linking using the same “Text” which is what has happened over recent years especially by middle and far eastern outsourcers, most any link building company and also over enthusiastic SEO companies, therefore the search engines are now actively looking for these unnatural link building signals so beware. The change to social signals being as important as back linking and anchor text links is a part of this update, and links from social networks and signals of social interaction and social popularity will continue to grow in importance throughout 2015 and beyond, these now carry high gravity and increasingly important authority in the world of SEO. 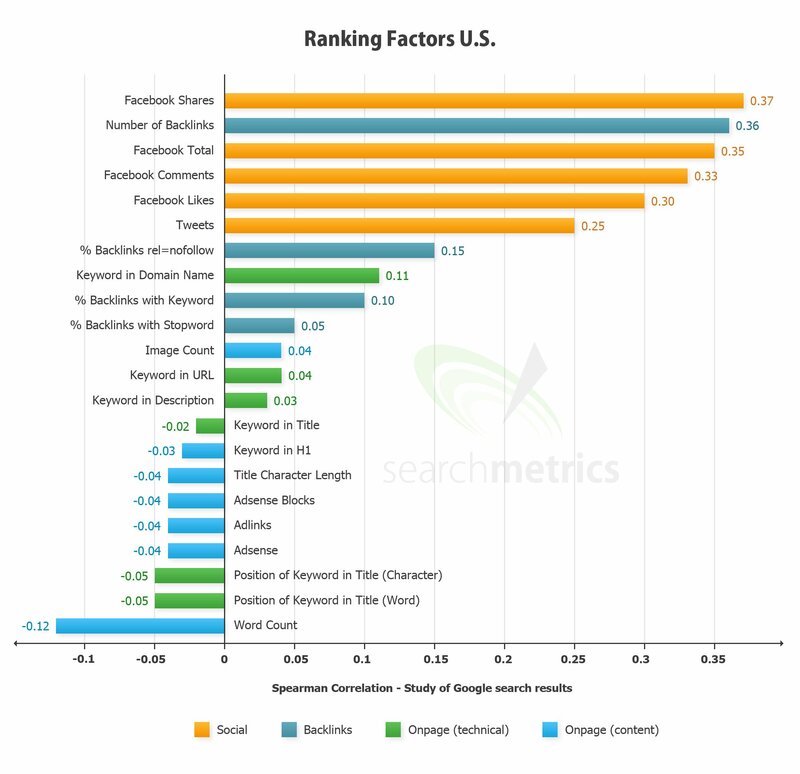 Ranking Factors Have Changed The Graph Below Is From Search Metrics.com and it is well worth reading the article the link is below the image. Link Building 2014 has changed So how can we use anchortext to still produce results in 2014? Well one thing we should’t do is to stop link building, search engines cannot discount link popularity and anchor text as it is still a very important ranking factor and still helps SE’s to identify site relevancy and site popularity, it is indeed still an important way to get that user experience the big G keeps harping on about and of course the relevancy of a site and that all important search engine indexing result. Anchor Text sort of started out as a prehistoric monster because people could not at first understand what the SE’s were looking for (and some still don’t) remember when most anchor text simply said “CLICK HERE” this may well suggest a call to action but it does not tell the SE’s what the link is about so relevance in the SE’s is totally missing, rendering this type of link close to useless. There are many different facets to getting anchor text right for the call to action and to getting the SE’s attention in the right way, that being relevancy and user experience factors correctly but in a short sentence identifying why a surfer should click the link. This is why search engines will follow the link and credit the site with link popularity factors that sill help to rank sites, even after the 2014 updates, but now more than ever it simply must look very natural and be relevant to the post or page that it leads to, sounds very logical doesn’t it? well it is, you see computer software including spider bots work on pure logic, a bit like Mr Spok on Star Trek. White Hat Link Building Lets Look At How To Grow Anchor Text Naturally Making Your Link Building Look Natural. There are many steps to the correct use of anchor text that will result in natural looking white hat link building, it is essential from 2014 on that your link building actually appears to be natural and any anchor text is not continually repeated whilst still appearing highly relevant to that which it links to. You must vary your anchor text as a human would, look at the keywords related to the subject of your page or blog post, use these as your anchor text and the more the better, whilst this will retain the relevance of the anchor text, the duplication and obvious manipulation of back links will be far less apparent in your link network. Let’s do some examples for link building 2014 based on “Links Building For You” (an imaginary link building uk company) Use synonyms – Link Building Service UK may get replaced with Link Building Company UK, or Link Building Organisation UK. Always use the plural Vs singular “Link Building Service Uk” is a unique “Web “Links” company in the UK Keyword Modifiers or LSI Keyword “Link Building UK” “Best Link Building UK” “Build Links UK” Switch keywords in key phrases Combine keywords – “Link Building and Search Marketing Services UK” Use natural language Stop words – “we are a Link Building company” Don’t use site-wide links try not to link with the same anchor text on dozens, hundreds or thousands of pages from one site. Link to one URL with different anchor texts – Make sure to add links other relevant keywords as well, for example “Link Building 2014 Company” in our case. Link Building Expert Branding Yes Branding The Big G Has Always Paid Attention To Branding. brand only – “Link Building For You” added brand – “Link Building And Link Profiling By Link Building For You” misspelled brand – “Link Building 4U” personal brand – “John Robbins” personal + name brand “John Robbins Link Building for You” Link Building 2014 Requires Natural looking links, become a link building expert. To achieve this there are several things to take into consideration, too many links too fast appears unnatural, so if your site gets 20 visits per week and your link network is growing by 100 links per week, don’t you think this would appear to be unnatural to the SE’s? The fact is that the SE’s expect to see link building in the early stages of a new sites launch – this is accepted, but when the site has been up for a few month’s and then it gets much greater links than visits it’s gonna get flagged as unnatural link building. Vary your links, If your are building links you can build them yourself, and use bookmarking software too, we have covered this already – vary your links and your anchor text. When submitting to directories or guest blogging it is very easy to fall into using the same anchor text repeatedly – don’t. Now many people will simply copy and paste their biography or simply slightly cosmetically alter this. Be careful here because the SE’s may see this as duplication and flag as unnatural linking. Remember variation, you can’t just rewrite everything I understand that – however you can make significant changes to make it look natural, this doesn’t take long in reality now does it? Many links that you build can appear natural to a great extent. Natural means not placed or optimised by you in the eyes of the search engines. It’s easy to build natural looking links in guest blogging, simply put don’t always give exact instructions on how your link has to appear to those who will put them on their sites. Simply “forget” to send them the preferred anchor text and people will come up with creative ways to link to you. See some examples of typical natural links you want to have as well to get the most of your “link building 2012” and into the future. no follow links – many links are in truth no follow – but do you really think that SE’s do not follow? The big G can see these and does in fact follow them, so they most certainly do count for your link profile as a whole. 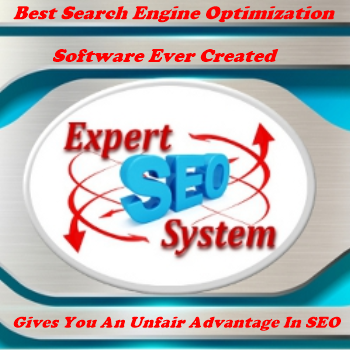 The best way is the way SE’s expect you to gain links – just posting great relevant stuff and waiting for those great posts to pick up back links. Can it be that simple? In reality yes it can but in our business this is a rare commodity. How can we therefore get this desired result? Well we cannot contact every person who links to us now can we? Well here’s the thing most of the time it’s not people that link to us it’s actually aggregators that are linking to us automatically. There are several on page elements that usually influence the outcome. Both bots and people usually just use a few things to link to us. How our sites are linked by people and automated web crawlers. Title tag – Include the anchor text in your title tag but try to make it explanatory and not generic, that way people are more likely to use it. If your title is keyword stuffed it is less likely that even bots will use it, remember title tags rarely get used in their entirety so get your target keyword as close to the start of the title as possible. URL path – always include your keyword in your URL path. https://www.whoisjohnrobbins.com/link-building-2012.html Don’t make it too short or too long though. /anchor-text by itself may be a bit too broad while the whole post headline is too long for a clean URL. Many automated tools link to URLs but also some lazy people do too. h1 tag – While some people take the title tag others prefer the first headline or as we know it the H1 tag. Whatever tag you use for the most important headline on the page. always Include the keywords or close LSI keywords here as well. name – People link to people not websites. Some really do it literally. So they will link Donald McLeod as the anchor text. That’s not bad as noted above thus providing a visible name as anonymous content without an author gets trusted less and thus also less linked out to. Backlinking 2014 Anchor text tools. Many SEO tools do offer some insights into anchor texts. On the other hand there aren’t many tools that exclusively focus on anchor text. Thus I’d like only to recommend a few tools here everybody can work with. Open Site Explorer – Open Site Explorer by SEOmoz shows anchor texts along other link metrics. You can see the top 5 in the free version and 10 if you’re logged in. If you want or need more than that then you will need the paid version. SEO gadget Anchor Text Tool – this uses Open Site Explorer data but organises in a way that focuses on the anchor text distribution. 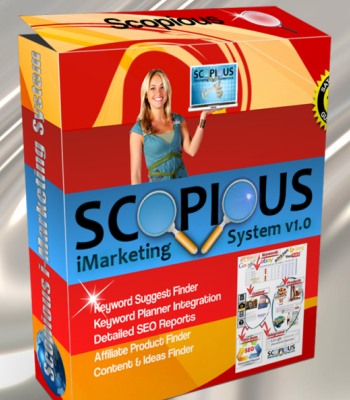 this enables you to see why a particular page ranks for a keyword at a glance. Keyword Combinations tool – This is actually a simple tool intended for keyword research but you can also use it to inspire some variation of your anchor texts. Anchor texts are still important for good seo, but there are many opinions on how to use anchor text. here are some other articles to read but make sure to do your own tests and do not believe everything that you read here. All About Anchor Text – Whiteboard Friday | SEOmoz 301 Redirects Can Pass Anchor Text | The Google Cache SEO 2.0 | Google Filters: Exact Match Anchor Text Links Are the New Meta Keywords Beyond Exact Match Anchor Text To Next Generation Link Signals – Whiteboard Friday | SEOmoz 5 things that stop anchor text being passed Building link juice is still an important factor in getting page rank and top search results, therefore we need to recognize that link building techniques 2012 by either yourself or any link building company must comply with today’s requirements of varied anchor text and social interaction. By practicing white hat link building you will soon become proficient at this process, he or she who practices the most becomes the best so you will very quickly become a link building expert. I have looked at several link building services and can tell you that through my research I have found the worst to be low cost link building companies that are based in the middle east and eastern Europe, as they do not fully understand the English language and are not educated in what is working now, or indeed what doesn’t work now! I also have found some great USA link building services, however these do come at a premium cost, and I have found also that services based in your own country tend to produce better results as generally unless they use a proxy, then the IP addresses are for the country that is your target market. Link building UK companies are also very good – however you have to check as in many parts of the UK now English is not necessarily a first language to the lower salaried employees who are likely to be placing links for you, but I have found one particularly good link building service UK. So my advice is to be careful when attempting third party for link building 2012 and into the future. Did you just post all of this information for free. You must be crazy as I am paying for products with less information than this! Thank you John, myself (and probably a lot) of other people will thank you for this free and up to date information. Link building has always been a problem of mine. Thank you Christie it is my target to get one free training video out each week, I have a list of subjects to be covered by my subscribers and these will all be free.